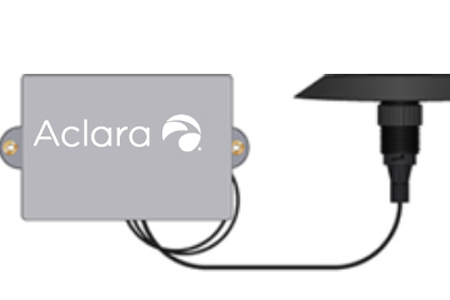 Aclara’s through-the-lid antenna lets you install Aclara Meter Transmission Units (MTUs) while retaining metal pit lids. Our flexible install options mean our MTUs will work whether you reuse current metal lids or replace them with RF-permeable ones. 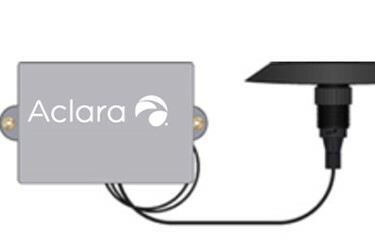 Aclara’s through-the-lid antenna adds a remote antenna capability to your MTU install options. With a high-performing, 450-470 MHz antenna mounted on top of a metal lid (meter pit, vault, etc.) and a signal cable passing through the lid to the MTU mounted below, RF propagation is no longer a concern when a metal lid cannot be replaced. A variety of mounting brackets gives you flexibility as to where to mount the MTU below the lid. Multiple bracket styles mount on the antenna stem and are held in place by the antenna nut to let the MTU be mounted to the lid as a single package.